WARNING! Please dont try to open the turbocharger if you are new to it. Some of the parts are very difficult to repack and most of them are very very costly. 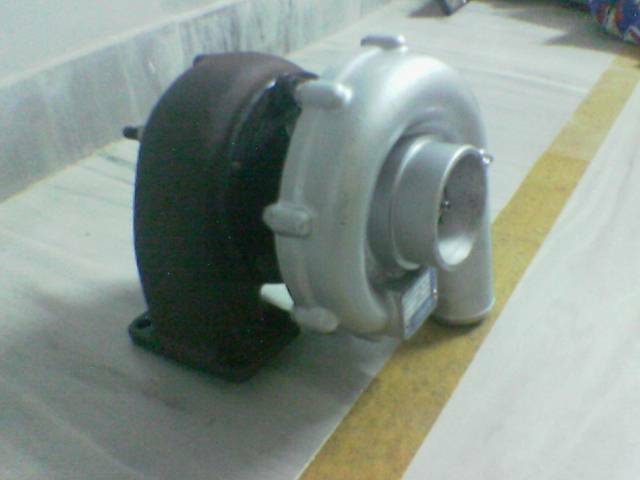 We got an old used turbocharger from market it was about Rs 4000 (about 9$). 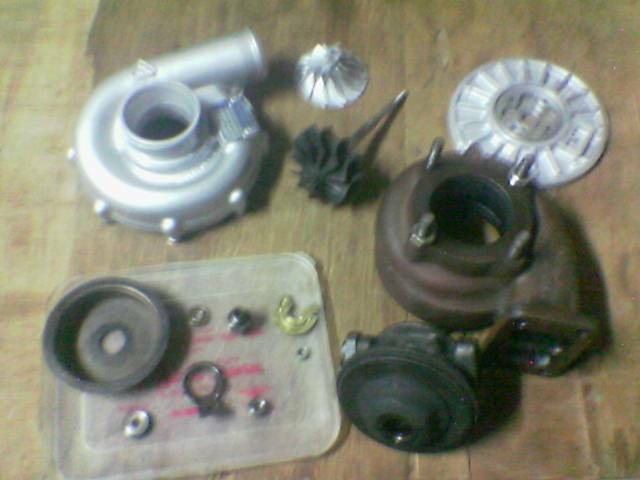 The condition of the turbocharger was too bad and at first look no one can even say that it will work. we opened all the parts, And starting to see it closely. 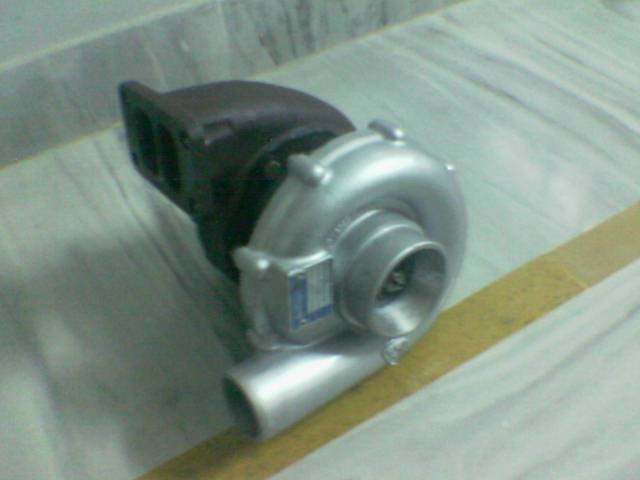 take a look at the turbocharger we bought. The turbocharger was giving a weird look. So we decided to first clean it up. 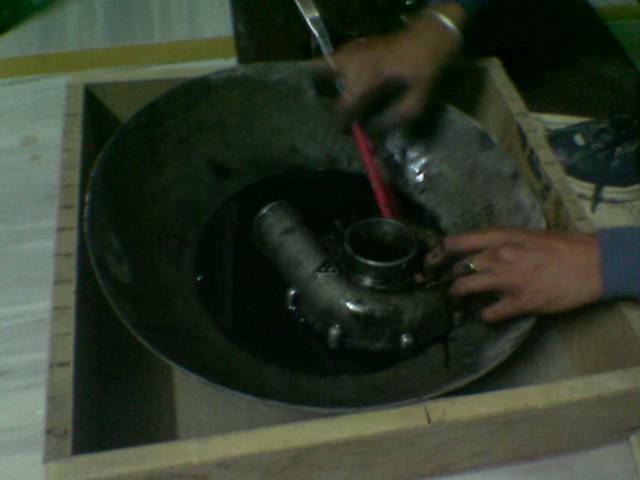 we took out some petrol from our bike and started cleaning the mess on the turbocharger. Well not it was getting some looks and now giving the nice colors. We both were happy as it was showing its face to us. Then the most important step we took is to check the shaft and Bushes, unfortunately as it was a second hand thing so. the bushes were almost gone. We went to market to enquire about the price and My gosh! Rs 1000 for a pair.. we thought of making it by ourself. One of our friend is an expert in Lathe Machine.. we had a little talk and then he agreed with us and we are done with new bushes in just Rs 200. That was quiet smiling. After this, we gave the alluminum a nice shiny look by painting it with siliver color. It was giving a look as if its all new. we were satisfied from our work. We repacked the whole Turboengine parts together And made it just like a new one. The next step was the combustor design.